Ephemera captures our curiosity. Through it we get a glimpse into the personalities, personal moments and ponderings, and sentiments of beloved public figures. Presented here are many such glimpses, along with several longer looks, into the life of legendary photographer, Robert Frank. 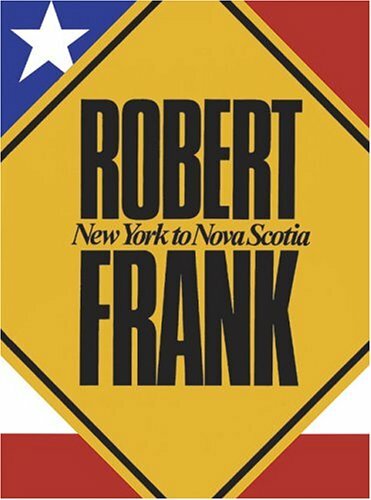 New York to Nova Scotia was originally published in 1986 to accompany a retrospective exhibition organized by the Museum of Fine Arts, Houston, and has long been out of print. The book is the best source for much of the most absorbing material on the great artist: there are letters from a young Robert Frank to his parents telling them of New York, there is a facsimile of his 1954 proposal (considered a landmark document in the history of photography) to the Guggenheim Foundation that started his legendary journey across America, a letter from an Arkansas State policeman who arrested Frank during his trip to produce the photographs in his masterpiece, The Americans, as well with such other items like an account by Jack Kerouac about the trip he made with Robert Frank to Florida. The theme of this account is the now-classic one of a modern artist’s restless peregrinations-travel as a physical and spiritual journey, as search and as self-discovery. The chronology and personal spirit of Frank’s complex career as a photographer and filmmaker are evoked through these previously unpublished letters, pictures, reviews, and essays, as well as through 18 of his classic photographs. Some of the letters are by Frank; others were written by photographers and contemporaries, such as W. Eugene Smith, Louis Faurer, Keith Smith, and Gotthard Schuh, and by legendary curators Hugh Edwards and Robert Delpire. (Frank's writings reveal his lesser-known side: considerable talent as a literary artist.) Authors of the essays include Walker Evans, Jonas Mekas, Allen Ginsberg, and Robert Coles, as well as the exhibition curators, Philip Brookman and Anne Tucker. New York to Nova Scotia also includes still images from Frank’s films, and pictures of Frank throughout his career.